Will the snow ever stop?!? That is the question I ponder here at Plumb and Kietzke as I watch a micro-snow shower pelt my window, this after a 70 degree Sunday and fun on the links at Somerset! I ran across this video from the guys at Unofficial Networks. 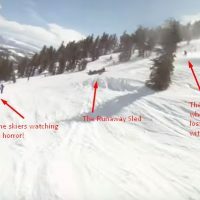 In researching it, the video is from a few seasons ago and occurs down at Mammouth Mtn. 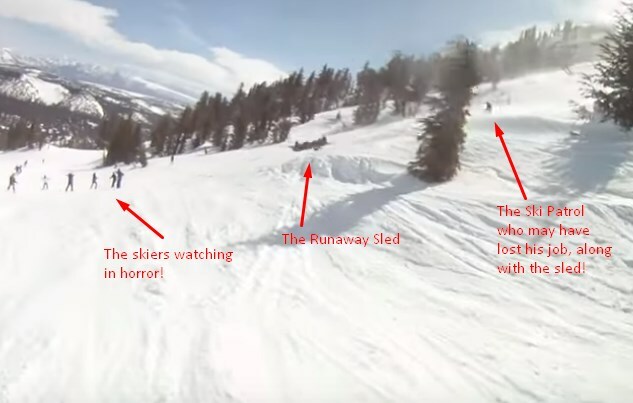 I’m not sure who would be more freaked out about this runaway injured skier sled; the patient, the other boarders and skiers or the ski patrol who lost control and subsequently had to try and catch up with it doing mach 5 down the hill! Check out the video and prepare to say ‘HOLY S**T!’.